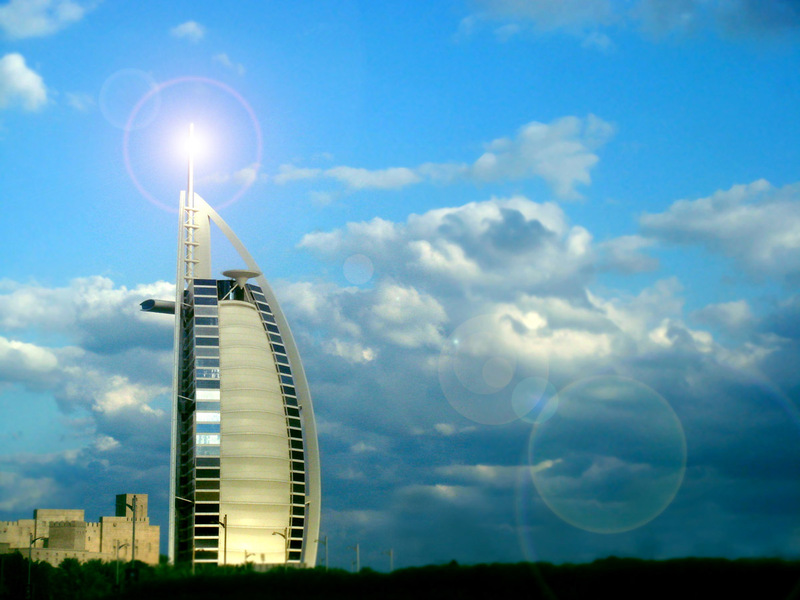 The Burj Al Arab is the “tower of the Arabs” and is located in Dubai, United Arab Emirates. It is a luxurious hotel which stands 1,053 feet tall and has the shape of a sailboat. It is said to be the second tallest hotel in the world. The tallest hotel building is the Rose Tower. There is another building that is still unfinished and is nine times taller than the Burj Al Arab. This building is an icon that is defined as the symbol of Dubai and it shows the modern trends that Dubai has been moving towards. The architecture who designed the Burj Al Arab was Tom Wright of Atkins. The hotel has 202 rooms and the construction was completed in the year 1999. The Burj Al Arab has 18 elevators and 60 floors. The hotel is located on an artificial island which is constructed almost 80 meters offshore. The hotel looks like a seven-star hotel in and is known for its unique architecture. However, if you go to the official website of the hotel, it claims to be only a five-star hotel. One of its restaurants, called the Al Muntaha, is situated 660 feet above the Persian Gulf and shows a splendid view of Dubai. Another restaurant within the hotel is called the Al Mahara, which features a seawater aquarium. This restaurant can be reached by catching a submarine and it is within the sea. It holds about 35,000 cubic feet of water and is voted one of 10 best amongst the world. Come to united arab emirates and we will show you that everything in this article is true……. I Think All of true …Baki jakar dekh Lenge..
Burj Al Arab is not only an iconic landmark in Dubai, it is also as noticeable and far more popular than the Opera House or Eiffel Tower. It is luxury personified…there is no argument about its luxury value or its features and fame. It is all absolutely true. Let there be no doubts in your mind about it. This iz all true cuz i live in da UAE n i knw! aur jisko lagta hai k dis is not tue……khus a kar dekh le waise hi ye bht mast hai! yes it is true . i lived in dubai and i have been inside one time .it is beautiful. dubai is rich country they could have more that too. it iis very fantastic construction. yes i agree with Anjaly. i been to this place few years ago in and out of this Fabulous hotel, coz of sister and her husband band. They always play there with their band. Going to the building crossing the bridge was amazing and mesmerising! the different colours of beaming lights are spectacular. i can’t imagine how they managed to build the building starting from the parking basement under the water. Getting inside the main lobby is crazy the walls r in gold plated. I can’t describe the feeling when i stepped into the lift going up seeing the ground amazingly crazy. feeling lucky on that first time. It’s very fantastic and expensive hotel…..and one day of my life I will have do the job in hotel as manager…….